What if I told you that a few simple changes to your diet could extend your youth, lean up your physique, get your body fat percentage down to the single digits (or teens for women), and ultimately add 5, 10, or even 20 years to your life? Intrigued? It’s for real. These 16 rules are absolutely integral to any healthy lifestyle, plus they’ll help you look your best — more muscle, less fat, healthier skin, and more resilient immunity. Many of them are extremely simple changes, but their impact is exponentially beneficial. 1. Cut out all trans fats, limit saturated fats. No other rule is as important as #1. Follow it and live by it, it’ll save your life. Literally. Trans fats are created when food producers hydrogenate oils to preserve food and increase their shelf life. The problem with these nasty fats is that they raise artery-clogging LDL cholesterol (bad cholesterol) significantly, while simultaneously lowering artery-cleaning HDL cholesterol (good cholesterol). Saturated fats still raise LDL cholesterol, but have no effect on HDL levels. Over time consumption of these fats leads to atherosclerosis (fatty build up in the arteries which restricts blood flow), coronary heart disease (CHD), heart attack, and stroke. Trans fats have no health benefits at all and are directly related to an increased risk of CHD. Check this out. A 1976 Nurses’ Health Study found that for every 2% increase in trans fat consumption, the risk of CHD more than doubled (53% increase in risk). Compare that to a 15% increase in saturated fat intake to produce a similar result. That’s harmful stuff. Trans fat consumption has also been linked to Alzheimer’s, Type-II Diabetes, obesity, and possibly even cancer. Where are trans fats found? A major issue with trans fats is that food producers are legally allowed to list that a food has 0g of trans fat if it contains .5g or less. Some foods have .49g, but they can technically be marketed as having no trans fat. Any level, even .25g can have a major negative health impact. It all adds up. Get in the habit of reading ingredients–if you see vegetable shortening or partially hydrogenated that means the food has trans fat. Common foods that have trans fats include: pastries, doughnuts, croissants, French fries and any other fried foods, cookies, crackers and biscuits, margarine and shortening, potato chips, granola bars, and chocolate. BK French Fries have 7g, a Cinnabon Cinnabon has 6g, and every 3 Oreos have 2g! 2. Fight fat with fat. Contrary to what most people believe, fat does not make your fat. Eating too much fat makes you fat. In fact, eating healthy fats can help suppress appetite and benefit your heart significantly. 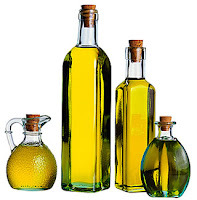 Look for mono/polyunsaturated fats such as Omega-3s. Poly/monounsaturated fats do the opposite of trans fats–raise HDL while simultaneously lowering LDL–which unclogs arteries and improves cardiovascular health. In addition, fat is vital for healthy skin and hair, facilitates muscle growth, and helps transport vitamins A, D, E, and K through the bloodstream. Fats are higher in calories than carbohydrates or proteins (7 calories per gram in fat, 4 calories per gram in carbs/protein) so be conscious of the amount that you’re eating. Foods such as salmon and other fish, nuts and natural nut butters, seeds, olive oil, flax seeds, and avocados are great sources of healthy fats. When it comes to bread or anything else made with flour make it a habit to choose wheat bread over white bread. When companies process white bread they strip out the nutrients, fiber, and vitamins, and then replace everything with sugar, preservatives, and chemicals. White bread has no nutritional value at all and digests extremely quickly, leaving the body hungry shortly after. Whenever you eat white bread it sends blood sugar levels on a roller coaster ride and signals the body to release insulin (which functions to bring blood sugar levels down), which ultimately causes body fat gain. Repeatedly spiking blood sugar levels causes insulin resistance–or the inability to control blood sugar levels naturally–which leads to type 2 diabetes. If you chop a tree repeatedly eventually it’s going to fall over…that’s what happens to your body when you eat white bread constantly. Stuff is HORRIBLE! Wheat products are slow digesting, help you stay full, keep blood sugar levels under control, and contain healthy fiber and other important nutrients. Stick to wheat bread, you’ll stay diabetes-free and maintain a lean physique.